When I clean my brushes, I use shampoo to wash the bristles. This may or may not be obvious, but think of the bristles like hair, and your brushes will love you back. Well,,, not exactly like hair. I don't condition or style my brushes. I just use a shampoo to clean them in luke warm to cool water and then let them air dry. 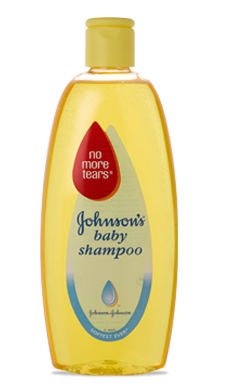 My favourite shampoo to use for washing my brushes is Johnson & Johnson's Baby Shampoo. It's gentile as can be. Do you clean your brushes regularly? I'm sharing this song from S.H.E. today, it was in Bullfighting, a Taiwanese drama with Mike He, and I adore him, but anyway, really been feeling this song lately, and look, complete with English subs Sorry, it's a bit bittersweet and kind of sad. Hope you enjoy! I do the same thing; a few drops of mild shampoo in a bowl of warm water. Swish until they rinse clean and leave to dry, brush end up, in a jar or glass. I was advised by a make up artist to not submerge the bristles as this can start to weaken the adhesive that holds them in the brush. I use brush cleansing shampoo by Sephora right now, and one of my friends loves Trish McEvoy brush cleanser. I don't think we should use human shampoos on makeup brushes, most makeup brushes are made from animal furs ("dead hairs"), and one won't use his/her shampoo on his/her pet. Maybe the baby shampoo is better though. I do clean mine often! Mostly my foundation brush gets cleaned because it seems to need it more often, but I do clean them all. That's the same for me. That foundation brush really gets a lot of attention!